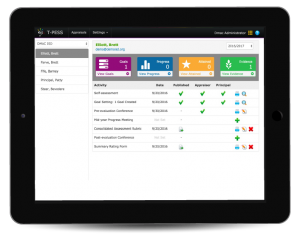 User-friendly, web-based tools that allow schools to meet all appraisals system requirements mandated by the state. For added flexibility, teachers are able to submit and review their own documentation online. Administrators have the option to conduct walkthroughs using ANY mobile device with an internet connection (e.g., iPads, iPhones or Android devices). 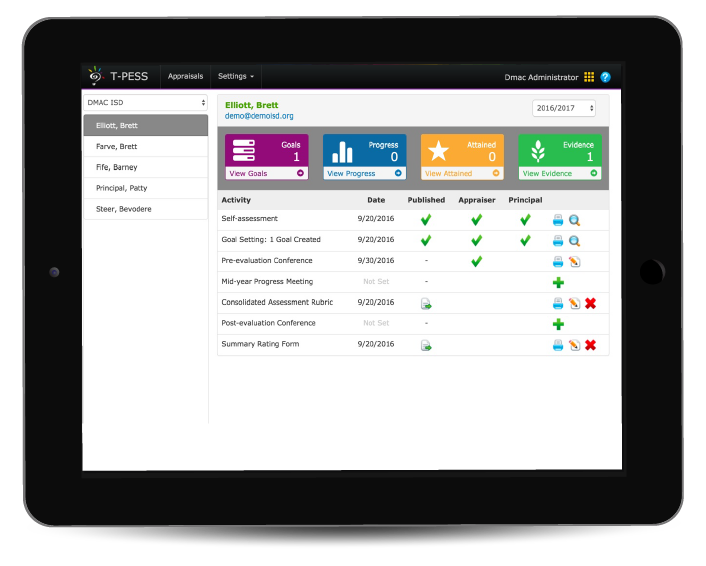 Schools who purchase Appraisals in DMAC have access to T-TESS, T-PESS and PDAS. Appraisals can be purchased by individual campuses. Call us at 1.866.988.6777 for more information or you can click here to Request a Demonstration or to find out more about pricing.